4. 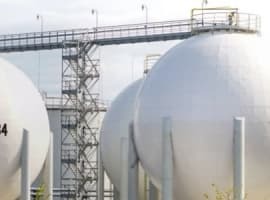 The fundamentals suggest far more supply in the future, notably out of the U.S. shale sector, much of which has reorganized with cleaner balance sheets, which in the absence of rising demand (in fact demand out of China is falling) means lower prices. Moments ago, Goldman energy analyst Damien Courvalin released a note titled "More worried about a thaw than a freeze", in which he effectively confirmed everything we said yesterday, when the sellside strategist said that the "three remaining large sources of oil supply disruptions – Nigeria, Iraq and Libya – have all shown signs of increasing output since last Wednesday", warning that "each country has the potential to move the global oil market back into surplus given our modest 230 kb/d expected deficit in 2H16" and "as a result, we reiterate our view that the oil price and fundamental recovery remains fragile." But worst of all, if only for the headline scanning algos, and Venezuela's increasingly more desperate oil minister Eulogio Del Pino, Goldman now thinks that "while discussions of an OPEC freeze and a weakening dollar have been catalysts for the sharp reversal in oil prices this month, we believe neither will be sufficient to support prices much further. In our view, thawing relationships between parties in conflict in areas of disrupted production would be more relevant to the oil rebalancing than an OPEC freeze which would leave production at record highs and could prove counterproductive if it supported prices further and incentivized activity elsewhere." As for fundamentals, "supply continues to feature the cross currents of rising low-cost supply, declining high-cost production, and new project ramp up. In fact, marginally more bearish data recently than we had assumed suggests in our view that the recent price rally should stall." Precisely what we said yesterday. Three remaining large sources of oil supply disruptions in recent months have all shown signs of increasing output since last Wednesday. In Iraq, flows from the Baghdad controlled northern fields resumed on Kurdistan’s pipeline to Ceyhan. In Libya, a vessel started to load crude from the Zueitina port, one of the three ports slated to reopen following an agreement between the UN-backed Government of National Accord in Tripoli and the Petroleum Facilities Guard, one of Libya's armed brigades. Finally, on Sunday, the Niger Delta Avengers announced that they had agreed to a ceasefire. Nonetheless, these latest developments are the most tangible since headlines of higher production from these countries started to intensify over the past two months with crude oil physically moving. Further, in each case, they suggest signs of easing tensions between the relevant parties. In Iraq, where production from Kirkuk fields is up by 70 kb/d, the energy minister was named with the support of the KRG. In Libya, the loading suggests a possible de-escalation between the PFG and forces loyal to a separate government in eastern Libya which had recently threatened to conduct attacks on the port. Finally, in Nigeria, this is the first ceasefire officially recognized by the NDA. We had conservatively assumed in our balances that only a combined 100 kb/d of these disruptions would reverse in 2H16 (with Nigeria starting from our estimated 1.3 mb/d level in July vs. the IEA’s 1.5 mb/d) with an additional 200 kb/d improvement in 2017. This left us expecting a 230 kb/d average supply-demand deficit in 2H16, however, these recent developments risk pushing the global oil market back into a surplus: Kirkuk production growth alone is scheduled to increase by 150 kb/d this week. We note that any upside to Nigeria production is likely to be slower than the 250 kb/d June increase as much of the production interruptions then were due to damages to onshore pipelines which could be quickly repaired where most of the current outage is due to damage to two offshore export pipelines which could take months to bring back online. 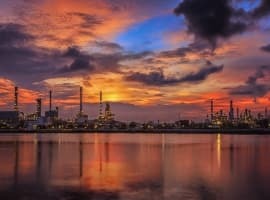 While oil prices have rebounded sharply since August 1, we believe this move has not been driven by incrementally better oil fundamentals, but instead by headlines around a potential output freeze as well as a sharp weakening of the dollar (and exacerbated by a sharp reversal in net speculative positions). A deal to freeze production when OPEC and some non OPEC producers meet in Algeria on September 26-28 is possible in our view, after six failed attempts, as it would show signs of cooperation from Saudi’s new energy minister. But the possibility may not be high – Russia’s energy minister commented on August 8 that he did not see the basis for such a freeze (with legislative elections taking place before the meeting). Further, Saudi and Iran continue to focus on market share and therefore appear unlikely to unilaterally accept a freeze or implement a jointly agreed one. Ultimately, freezing production at current levels would leave 2H16 output from OPEC (crude) and Russia at 44.6 mb/d, 400 kb/d higher than our forecast as we assume a seasonal decline in Saudi volumes. Longer term, a production freeze would also likely prove self-defeating if it succeeded in supporting oil prices further with the U.S. oil rig count up 28 percent since May. Finally, the correlation to the dollar has not been steady and oil fundamentals, as they did in May, can drive divergence in asset prices. Further, our FX strategists view the recent strength of the U.S. economic data as leaving risks to the dollar skewed to the upside, not downside. On the fundamental side, supply continues to feature the cross currents of rising low-cost supply, declining high-cost production, and new project ramp up. In fact, marginally more bearish data recently than we had assumed suggests in our view that the recent price rally should stall. Saudi production reached a new record high in July at 10.7 mb/d with Reuters reporting that Saudi production could reach a new record in August, with large cuts to its OSP for September as well. Iraq has agreed to new contract terms with oil majors to increase its southern output by up to 350 kb/d next year vs. our current expectation for flat production into 2017. Finally, projects continue to ramp up in line with our expectations (i.e. TEN in Ghana and Goliat in Norway) or even beyond what we are assuming (i.e. ENI’s guidance on Kashagan for next year). On the demand side, the 1H16 trend continues to be of strong demand growth, which is now nearing 2 mb/d, driven by India and China, and we continue to expect a moderation in demand growth in 2H16. Demand continues to be revised upward with the August IEA data showing a broad based 100 kb/d increase in 1H16 demand growth. Additionally, the early 3Q16 data is pointing to a slowdown in growth in India and stable growth in the U.S. in line with our expectation. With no evidence that demand growth is weakening sharply, supply will remain in our view in the driving seat in coming weeks. Is ExxonMobil Actually Only Worth A Fraction Of What It Says?